This week, Senate Republicans gave up their bid to repeal and replace the Patient Protection and Affordable Care Act (ACA). Majority Leader Mitch McConnell (R-KY) again canceled a previously planned vote to proceed with the latest iteration of the “Better Care Reconciliation Act of 2017.” This decision to cancel the repeal and replace bill came about after both moderate and conservative Republican Senators could not agree on a final package that could garner the 50 votes needed to proceed. Senate Republicans and the Trump Administration continue to seek compromise among Republican Senators as a whole. Sen. McConnell then shifted gears and announced that the Senate plans to take up the same legislation that Congress passed in 2015, which would completely repeal the ACA. The implementation of this legislation would begin after a two-year delay in order to give Congress the time to develop a replacement plan. At the time, 48 current Republican Senators supported the ACA repeal bill, including Sen. Lisa Murkowski (R-AK) and Sen. Shelley Moore Capito (R-WV). The vote was political, as the Senate expected that President Obama would veto the legislation. Sens. Murkowski and Moore Capito have already announced that they will oppose the measure next week. Sen. Susan Collins (R-ME) voted “NO” to ACA repeal in 2015, and stated that she would vote “NO” again this year. Among the Republicans who voted in favor for the measure in 2015, but may not vote the same way this time around, include: Bill Cassidy, MD, FACG (R-LA), Jeff Flake (R-AZ), Cory Gardner (R-CO), Dean Heller (R-NV), Jerry Moran (R-KS), Rob Portman (R-OH), and Dan Sullivan (R-AK). Another Republican to watch? Sen. Todd Young (R-IN). 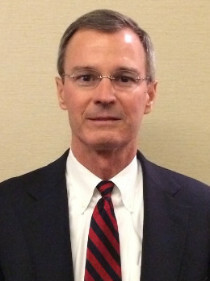 Sen. Young was not in the Senate in 2015, but hails from a state that reformed and expanded coverage requirements for Medicaid – under then Governor and now Vice President Mike Pence – in part due to the ACA’s expansion of certain federal waivers (footnote: some of the Medicaid reforms passed in Indiana were included in the House and Senate ACA repeal bills). Sen. McConnell may ultimately scrap this vote as well as we head into next week, in order to protect vulnerable Senators, if more Republicans come out against ACA repeal without any replacement plan. On Wednesday, news broke that longtime fixture in the U.S. Senate, John McCain (R-AZ) has sadly been diagnosed with brain cancer. Brain cancer was a major factor in 2009 and 2010 when Senate Democrats were struggling to pass the ACA, after longtime fixture in the U.S. Senate, Ted Kennedy (D-MA) was diagnosed with brain cancer. What did the CBO say? What happened to the Senate bill? What is ACG’s analysis and outlook? Read the full blog here. We need your support to use our legislative voices to call for a rational approach to Maintenance of Certification (MOC) to statehouses across the country. Help ACG raise awareness of state legislative options prohibiting high stakes exams and costly maintenance of board certification requirements for state licensure, hospital privileges, credentialing, and employment and/or insurance payment. We need your help: Contact Your State Legislators! To help make an impact, your state legislators need to hear from you, and the ACG website makes this process quick and simple. Use the ACG website to advocate your support for these MOC bills. You can view the available action alerts for the current active MOC-related legislation on the home page of the linked site below. Also, by clicking on the “Bills” section and scrolling down to the “Key State Legislation” map, you can view information about all MOC-related bills. See one missing from your state? Let us know! Click here to take action in your state now! As ACG President Dr. Carol A. Burke wrote in March, ACG has heard the discontent and significant concerns of our membership. ACG leadership has also recently tasked the College’s Governors to be active on these MOC legislative issues at the state level, including helping to get bills introduced in your respective states. Preliminary data of a recent ACG survey of gastroenterologists highlights the overwhelming dissatisfaction with current MOC programs, regardless of certification longevity, or type of practice. ACG is still committed to working to make MOC more about life-long learning, rather than testing, if you choose to maintain certification. ACG continues to support the principles of lifelong learning, as evidenced by ongoing CME activities. Thus, ACG believes the time is long-overdue for physicians to stand up, join together and advocate for professional and practical activities that are important to the quality and value of care we provide for our patients. On Friday, Fujifilm issued an Urgent Medical Device Correction and Removal notification informing customers of its voluntary recall of all ED-530XT duodenoscopes. This action includes replacement of the ED-530XT forceps elevator mechanism including the O-ring seal, replacement of the distal end cap, and new Operation Manuals. The FDA also on Friday cleared the updated design and labeling for the ED-530XT. The FDA has been working with duodenoscope manufacturers as they modify and validate their reprocessing instructions to further enhance the safety margin of their devices and show with a high degree of assurance that their reprocessing instructions, when followed correctly, effectively clean and disinfect the duodenoscopes. Please read the FDA’s recommendations, including identifying these products in your facility and using the updated operating manual.